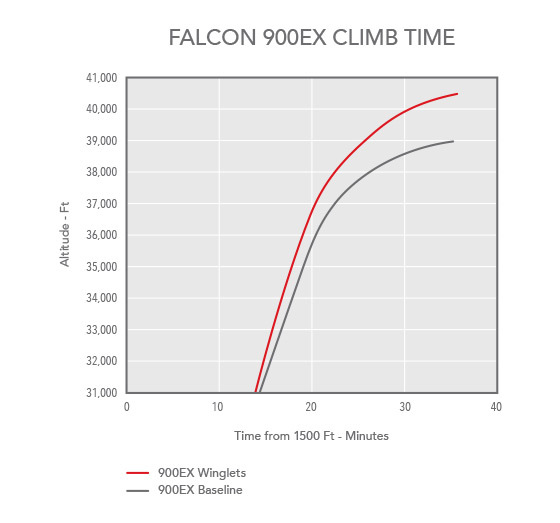 Our High-Mach Blended Winglets — designed in collaboration with Dassault Falcon Jet — are now flying on approximately 50 percent of all 2000 series and 30 percent of all 900 series Falcon jets in operation. 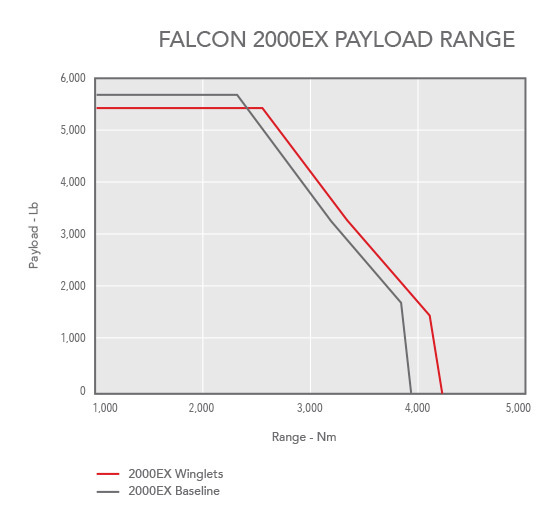 Our High-Mach Blended Winglets are on approximately 50% of 2000 series and 30% of 900 series Falcon jets in operation. 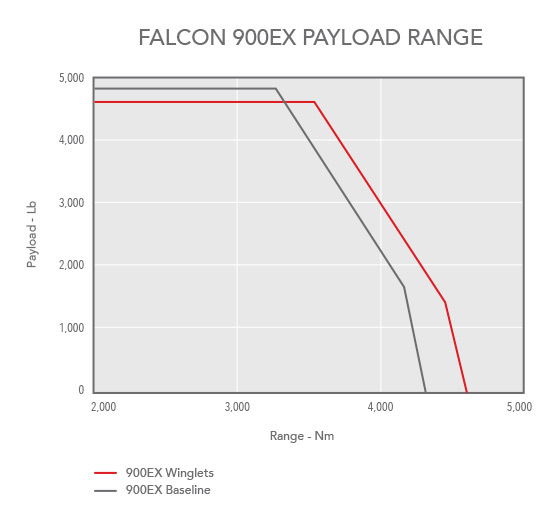 Blended Winglets cut fuel consumption and increase range by 5 percent at .80M and over 7 percent at LRC. 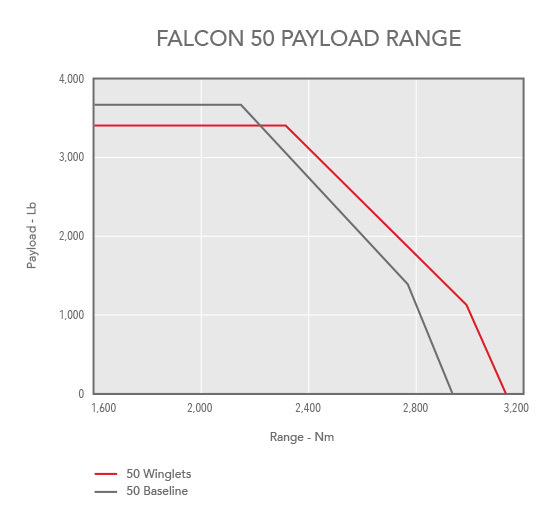 You can also complete shorter missions with greater payload and fuel reserves. 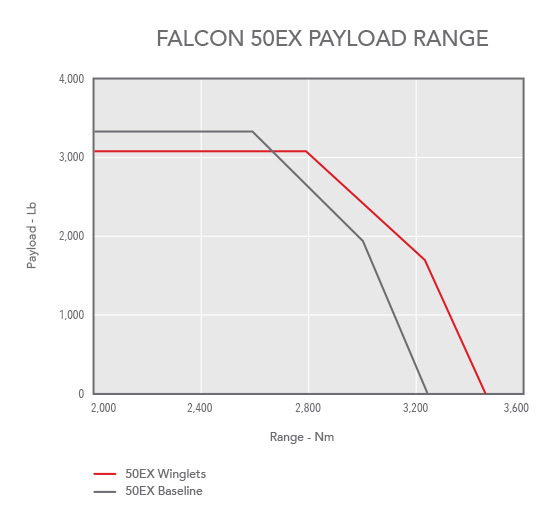 With High-Mach Blended Winglets, your Falcon will fly faster at any given fuel burn. 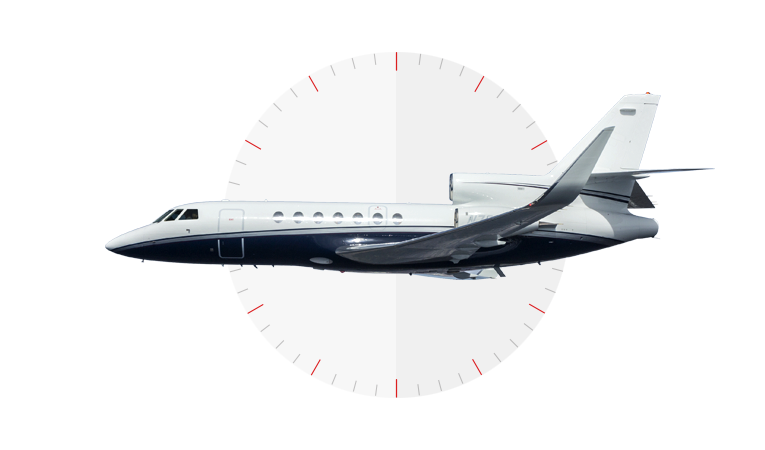 In fact, you can cruise at .80M for approximately the same fuel burn as the standard airplane cruising at LRC. 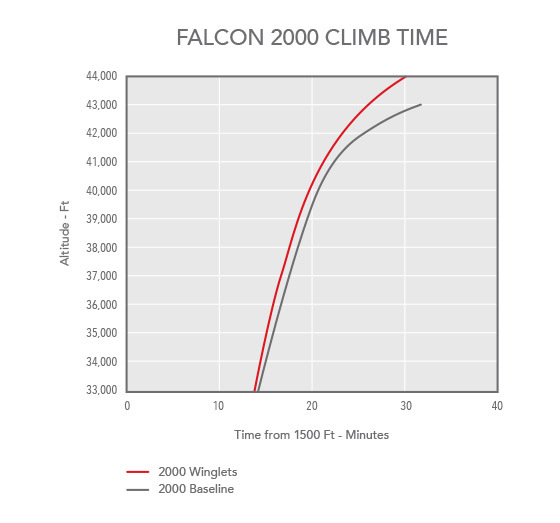 In addition, you will climb faster to cruising altitude. 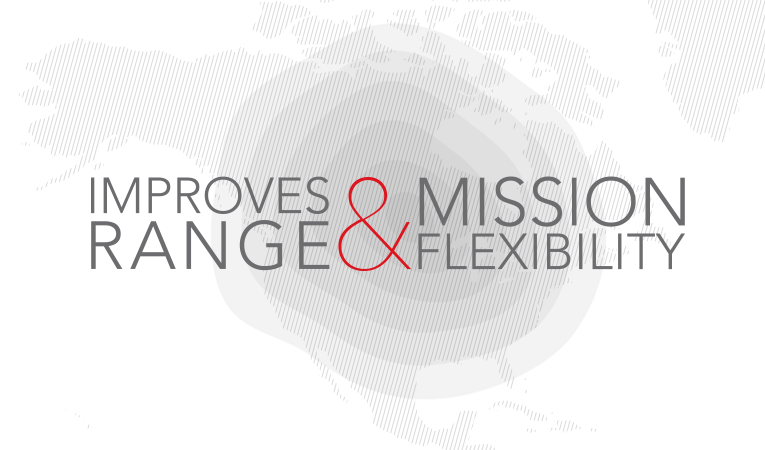 Step climbs will be reduced or eliminated for most trips. 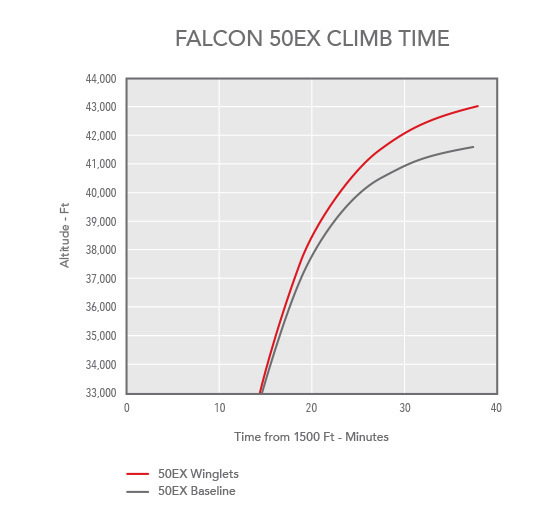 And optimum cruising altitude will be up to 1,500 feet higher — which could free you from traffic and weather for more direct ATC routing. 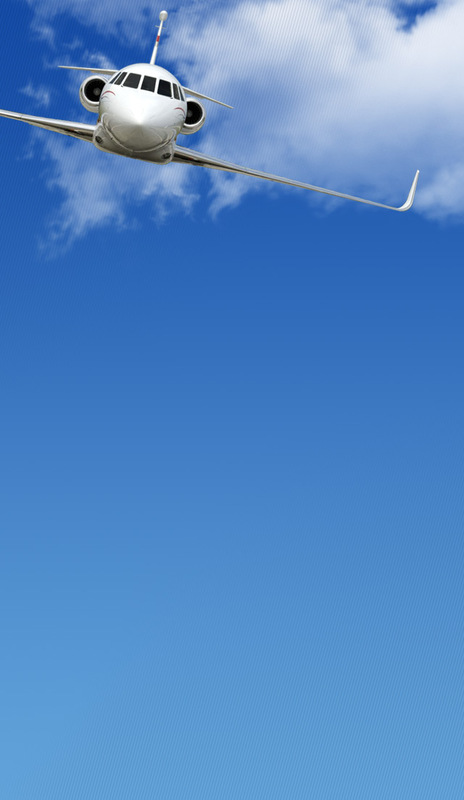 Why hide it? 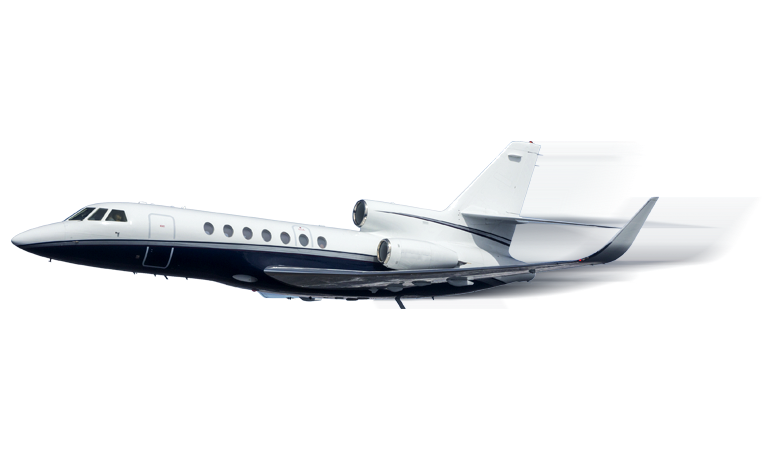 Blended Winglets make a Falcon look hotter, which is amazing when you consider that it already had the best looking wing in the business. 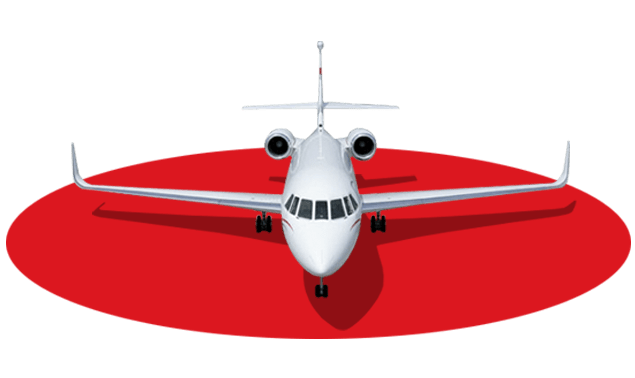 Along with advantages in fuel savings and performance, you gain the sleek, athletic look of a new airplane, increasing the enjoyment of every mile you fly, and making the aircraft even more attractive at resale. 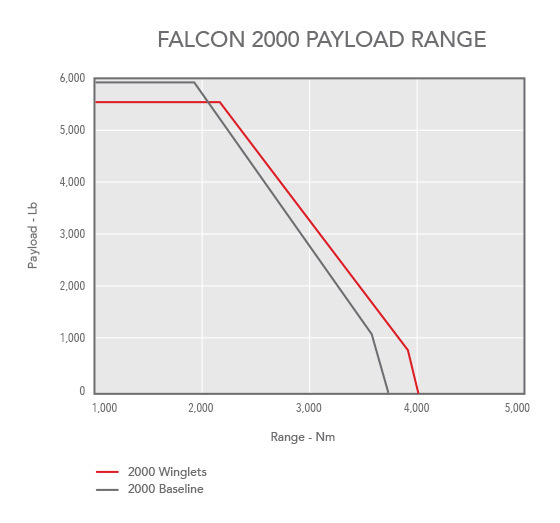 Equipped with High-Mach Blended Winglets, a Falcon 2000 or 2000EX can fly 5 to 7 percent farther, go faster for any given fuel burn, or arrive with more reserve fuel. 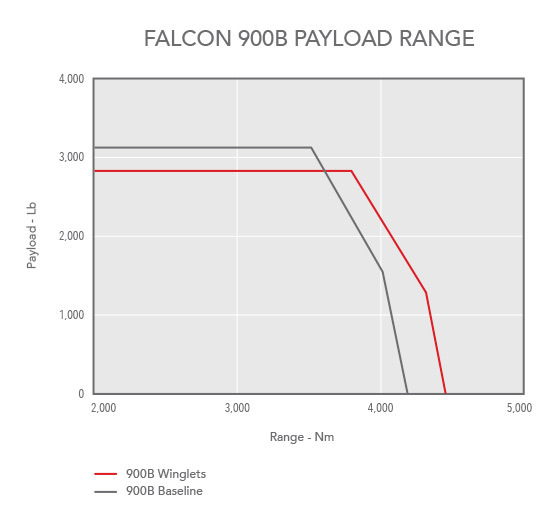 The Blended Winglet package also includes an exclusive LED anti-collision/navigation light system for greater reliability, longer life and higher visibility. 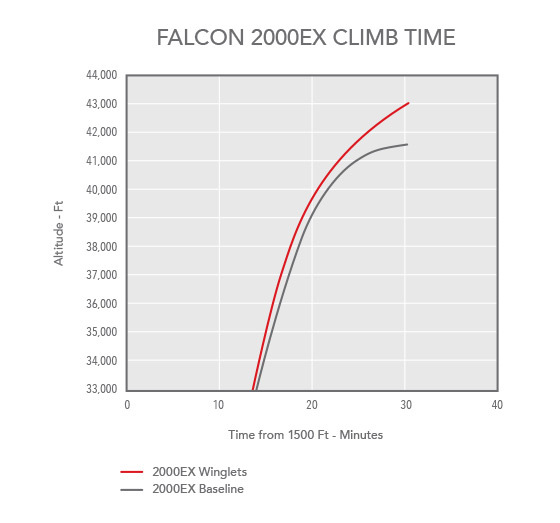 No wonder the same technology is installed by Dassault Falcon Jet as standard equipment on all 2000LXS/S and 900LX aircraft. 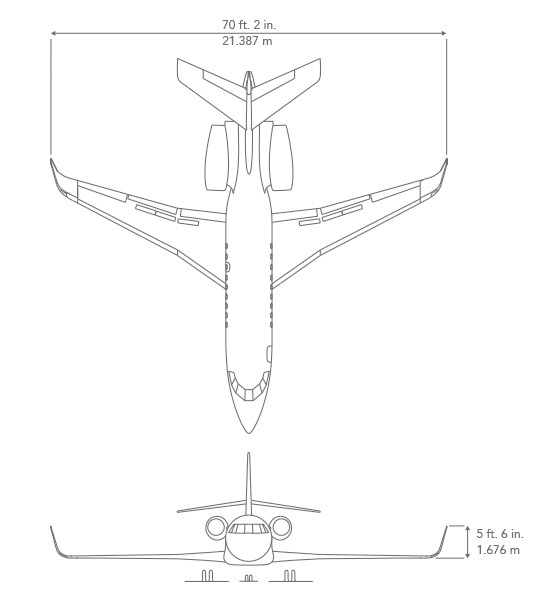 Altogether, a Falcon wearing Blended Winglets delivers the best value of any corporate jet flying today. 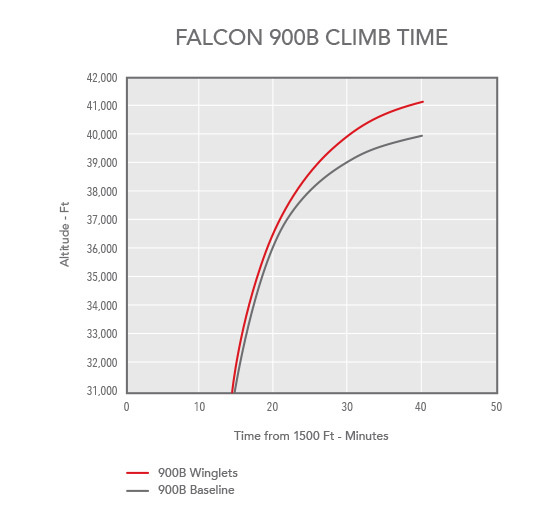 API's first "High-Mach" Blended Winglets, designed and certified in collaboration with Dassault Falcon Jet, are now flying on approximately 50 percent of all Falcon 2000 series and 30 percent of all 900 series aircraft in service. 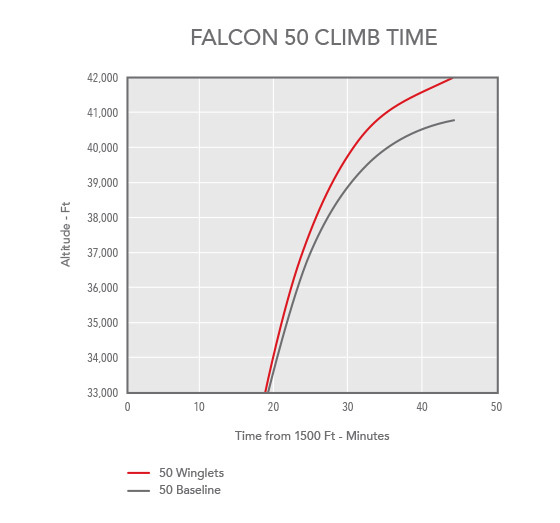 In addition to the improvements in climb performance, range increase, and fuel burn reduction at cruise, the Blended Winglets provide a more modern aesthetic and increased residual value. 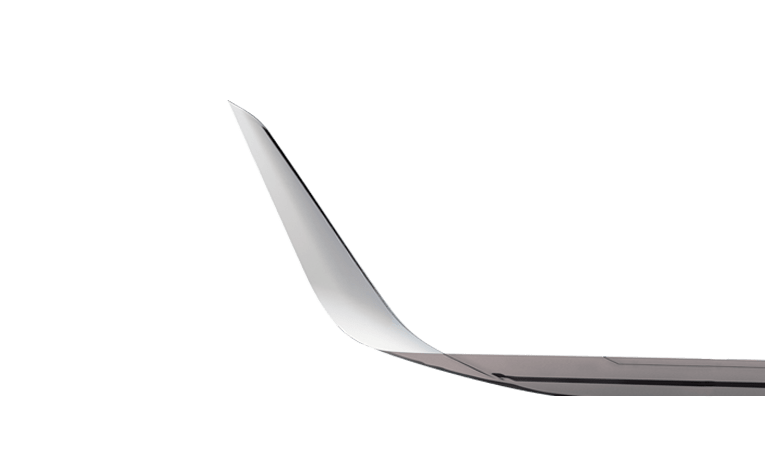 API Blended Winglets are standard equipment on Dassault's 2000LX/LXS/S and 900LX models, and are available for retrofit to any in-service 2000, 900 and 50 series aircraft.